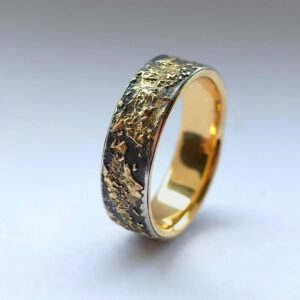 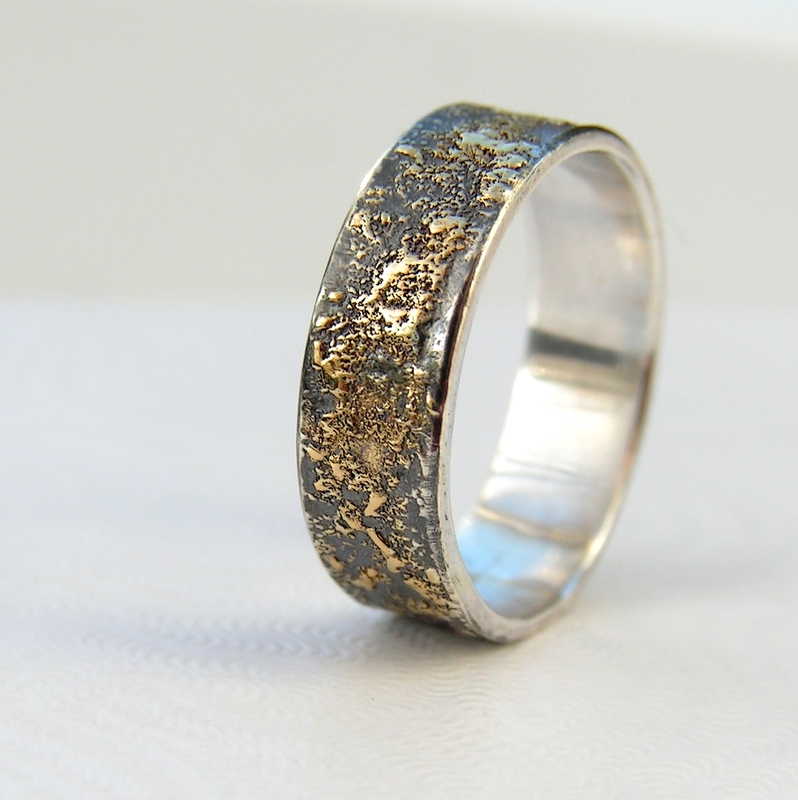 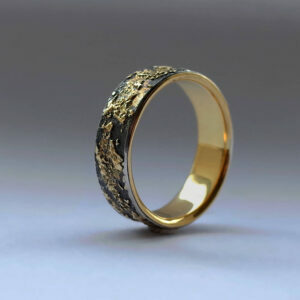 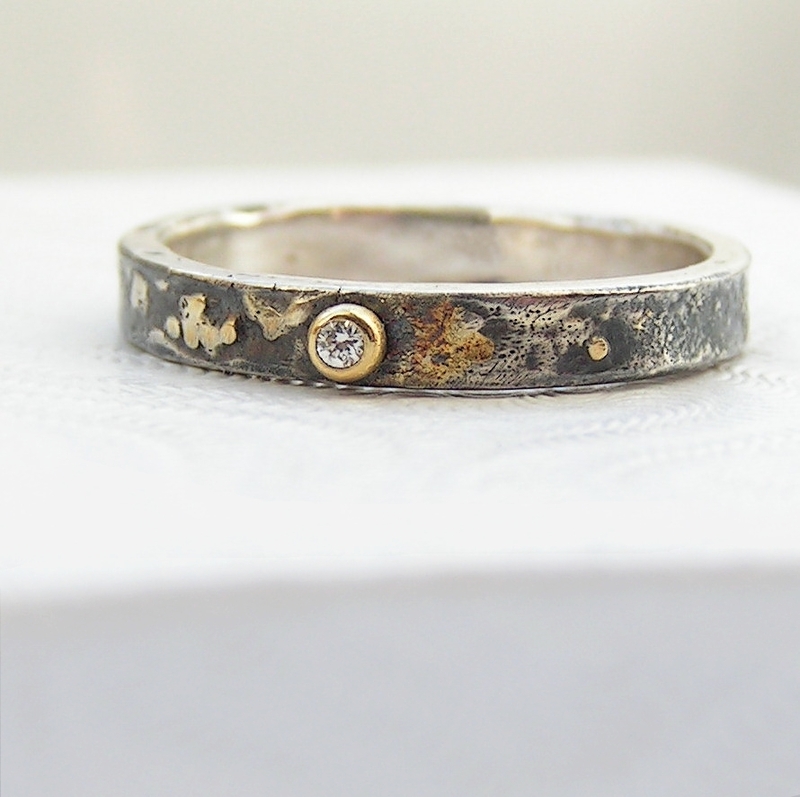 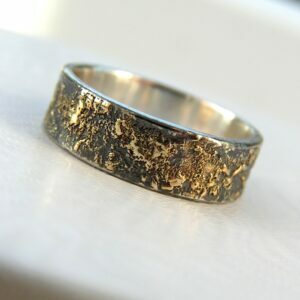 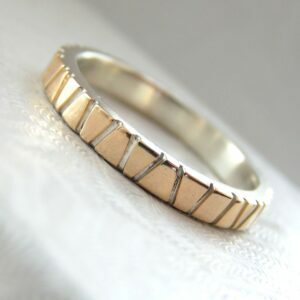 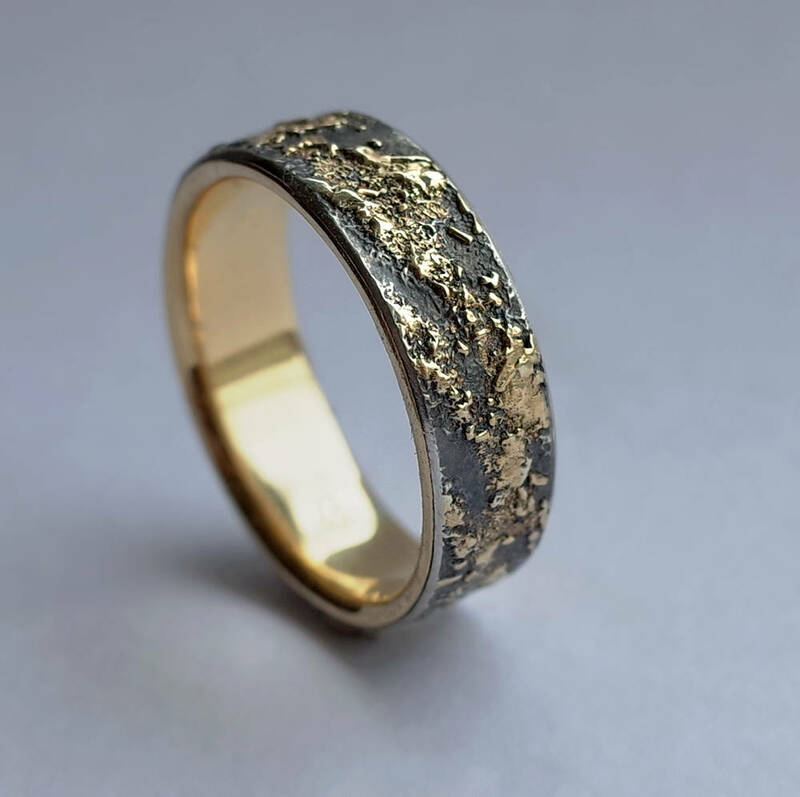 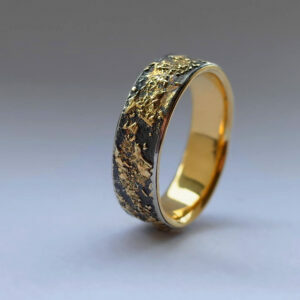 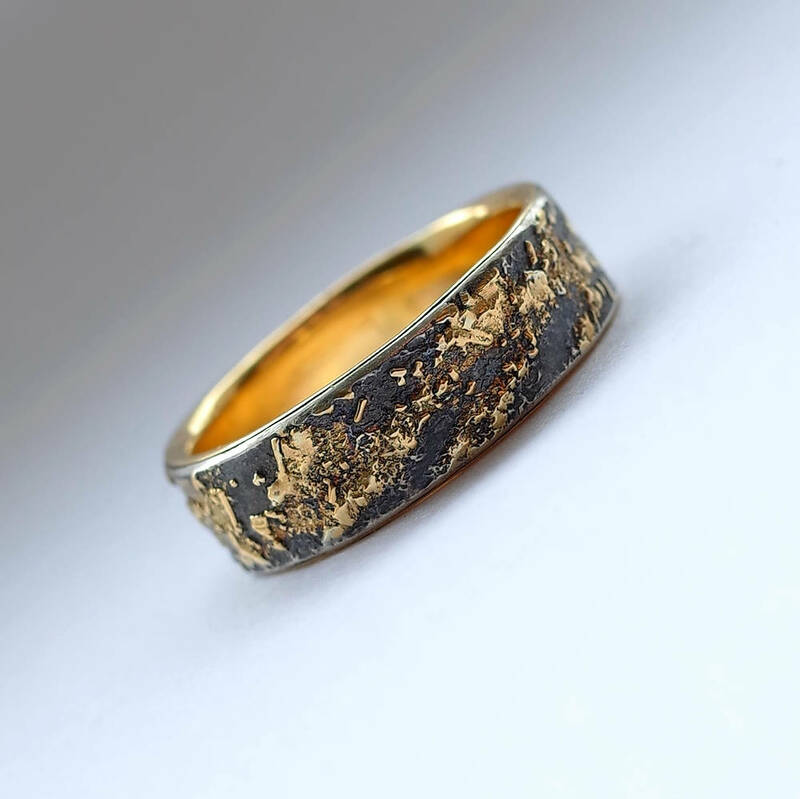 Unique ring with oxidized silver base, rustic gold texture and shiny gold inside. 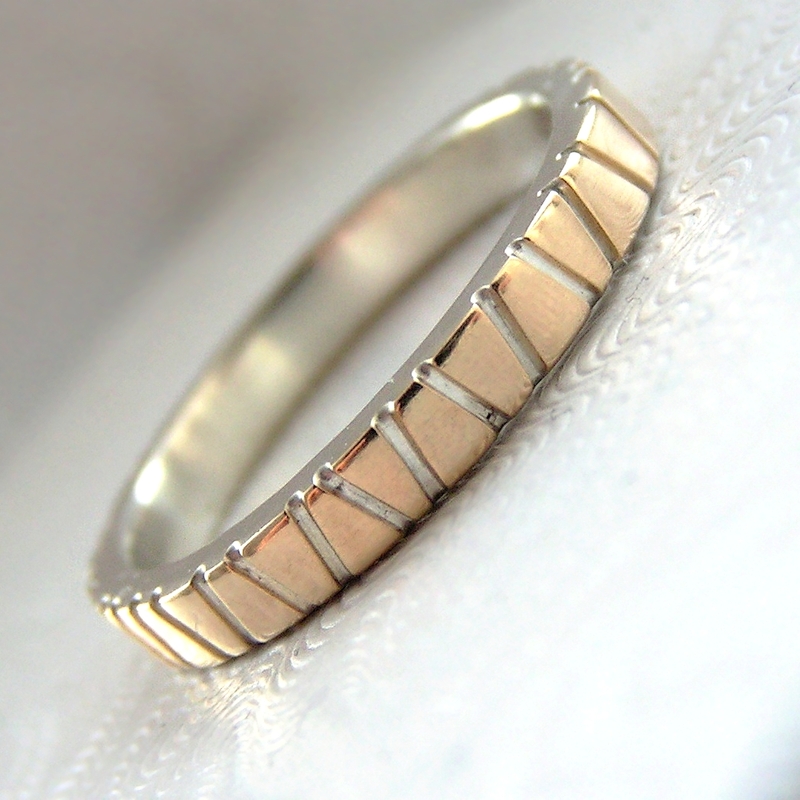 18k gold lining inside gives the ring increased durability and scratch resistance and also more luxurious look. 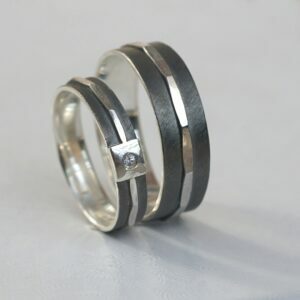 This is also nice solution for people sensitive to sterling silver (green/black finger). 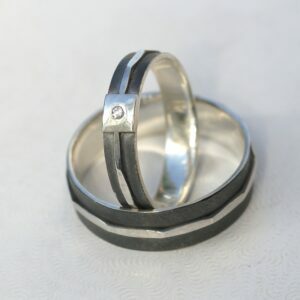 The silver stays for technical reasons only, mainly because it can be oxidized. 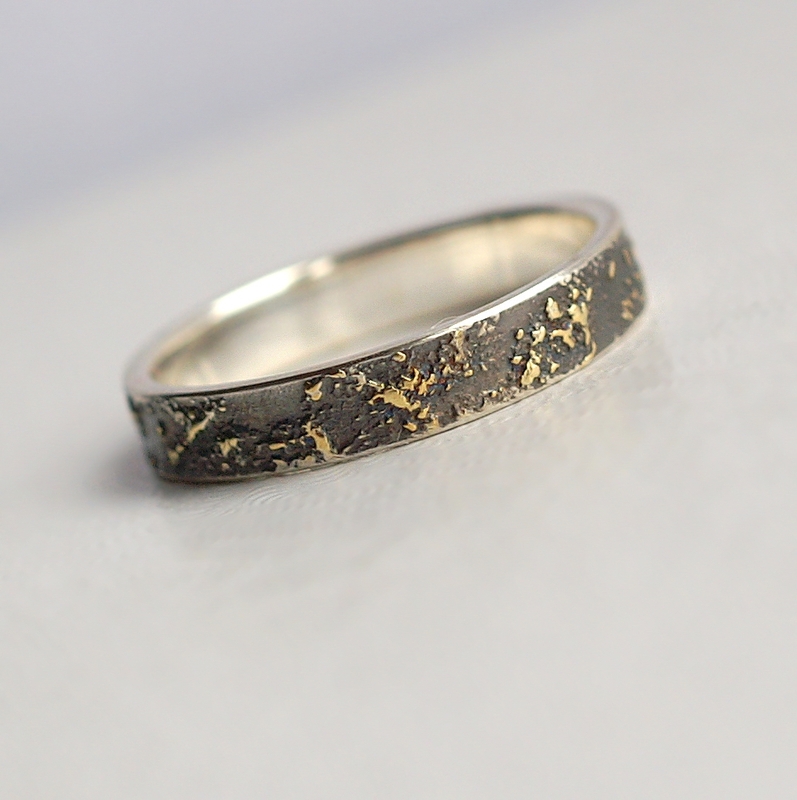 Width: slight over 6 mm. 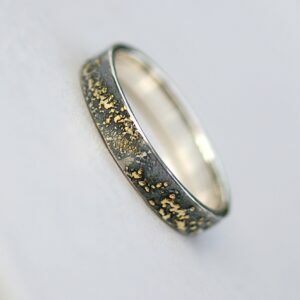 Although only the 6mm ring is listed, I can add gold in this way to other rings in the Gold Chaos collection (different width, rings with stones, etc.). 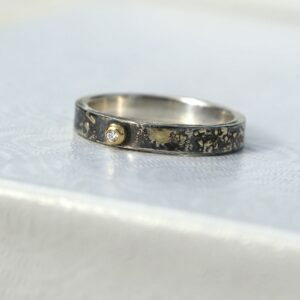 Message me for custom order. Beautiful and unique ring – perfect for a contemporary men’s wedding ring which is a bit different.